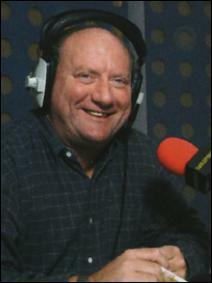 Today he’s one of the most recognisable voices in football broadcasting, but in the early Eighties Alan Brazil was a striker at the top of his game. A UEFA Cup winner in 1981 with Bobby Robson’s Ipswich team, he had forged a reputation as a prolific marksman, scoring 70 goals in 154 league appearances for the East Anglian club, not far off a goal every other game. But after Robson quit Portman Road for the England manager’s job, Ipswich decided to capitalise on one of their prime assets and Alan Brazil was on the market. In March 1983, despite rival interest from Manchester United, Ipswich accepted a bid of £470,000 from Tottenham for the 23-year-old striker that. After a short meeting with Keith Burkinshaw at the White Hart Hotel in Braintree, the striker was impressed by the manager’s assurances that Tottenham would build a team to accommodate him and the pair shook hands on the deal. At the time it was seen as a major signing for Spurs and former England striker Malcolm Macdonald even went on record in the press to say that Brazil would “put Spurs back in business”, describing the deal as “easily the best piece of transfer business this season”. When he arrived at White Hart Lane, Brazil was immediately impressed with the scale of the club and determined to make an immediate impact. Despite his best efforts, however, he failed to forge a meaningful working relationship with his new manager. Having come from a relatively small squad at Ipswich, Brazil was not used to being substituted, and when Burkinshaw pulled him off the pitch three quarters of the way through just his fourth match, it knocked the Scottish striker’s confidence. Nevertheless, he finished the season having scored six goals in 12 games, helping the club to clinch a place in the UEFA Cup. “We played really well in those final 12 games and I like to think I helped the club get that spot in Europe,” he says today. The following season started badly for Brazil as he struggled to recapture his Ipswich form. After substitution against Nottingham Forest in October, he was offered a ticket in the stand for a relatively easy Milk Cup game away to Lincoln City and the following day was asked to play for the reserves, a blow that further knocked his by now fragile confidence. Despite newspaper reports that Ron Atkinson of Manchester United and Everton’s Howard Kendall were maintaining interest in the player, Burkinshaw turned down the approaches out of hand, much to the striker’s dismay. The relationship between manager and player worsened as the season progressed – until, tired of reserve team football, Brazil finally handed in a transfer request. Three weeks before the end of the season the tension between the two culminated in a touchline argument at QPR. After hearing his manager say, “I suppose you better go on now”, Brazil took offence and refused to take to the field, letting fly with a verbal tirade. Despite having scored four times in five appearances in the club’s European campaign (enough to earn him a winners’ medal), he wasn’t even included in the UEFA Cup final squad and he watched the away leg from his sofa. The following month Manchester United paid £700,000 to take him to Old Trafford and while White Hart Lane never really saw the best of Alan Brazil, he is still remember fondly by the fans. What made you sign for Spurs in 1983? Was it a culture shock coming to Tottenham from a club like Ipswich? You were already an established star when Spurs signed you. Was there a significant pressure to perform? “Well at the time there was because they paid five or six hundred grand, which was good money in those days. It was difficult because at the time my last season at Ipswich wasn’t my best season. Little did I know it at the time, but I had a major back problem that I found out about out in 1987 or 1988. Suddenly my fitness levels dropped and I knew that even from the point when I signed for Tottenham. “I think I played 12 games for Spurs at the end of the season and I scored six goals. Then we had the break and I knew in the following pre-season training that something wasn’t right – I was thinking, ‘Hold on, I’m not as fit as I used to be’. I thought it was hamstrings, groins – I had the same problem when I joined Manchester United and there I could tell because my old Ipswich team-mate Arnold Mühren was at United. I could gauge my fitness against his, because on long runs at Ipswich I would murder Arnold, who was a fit guy, but I was VERY fit. At United I couldn’t get near him anymore, so I knew there was something wrong but I didn’t realise what it was until it was to late. You had a stormy relationship with Keith Burkinshaw? What kind of man was Burkinshaw? Didn’t you famously explode at him after being substituted? Who were the players that you really enjoyed playing with at Spurs? “Well, there really were some great players at the club at the time, like Ossie Ardiles. He is still a very good friend. Ossie was busy, a great little athlete, always bombing about and very clever little one-twos and nutmegs. He was just a special player. He was a World Cup winner and he’d always want to play little wall passes with you, always wanted to bring you into the game. Ricky Villa was more of an individualist, while Ossie used like to play the ball into feet and get it back. Ossie was a star, no doubt about it. What was so special about Glenn Hoddle? Spurs won the UEFA Cup in your one full season at the club, but you didn’t get to play in the final. Who were you playing up front with in your time at White Hart Lane? How did your transfer to Manchester United come about? “That was a weird one. There was always talk of me going to Manchester United even before I went to Spurs, but then I played for Tottenham against Manchester United in an end of season game over in Swaziland, believe it or not. We had a real laugh with the Manchester United team. We mixed together and it was great fun and I played particularly well in that one game. I don’t know how it came about, but United had a spot where they needed someone else to come in with a little bit of experience, whether he was going to play every game or not. Ron Atkinson was always an admirer and I went there from Tottenham. Tottenham wasn’t the most successful period of your career but do you look back fondly at the memories of your White Hart Lane experience? What was your least favourite experience at Spurs? In your autobiography you said that when you went to Spurs you wanted to strike up an immediate relationship with the fans. You seem to be fondly remembered by Spurs fans despite the short time you spent at the club. As a former Tottenham forward, what do you make of Dimitar Berbatov? What did you make of Tottenham’s season? How do you rate Martin Jol as a manager? Do you ever get back to White Hart Lane?